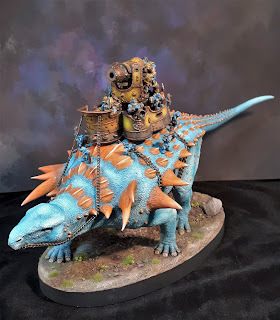 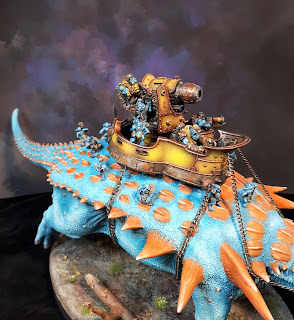 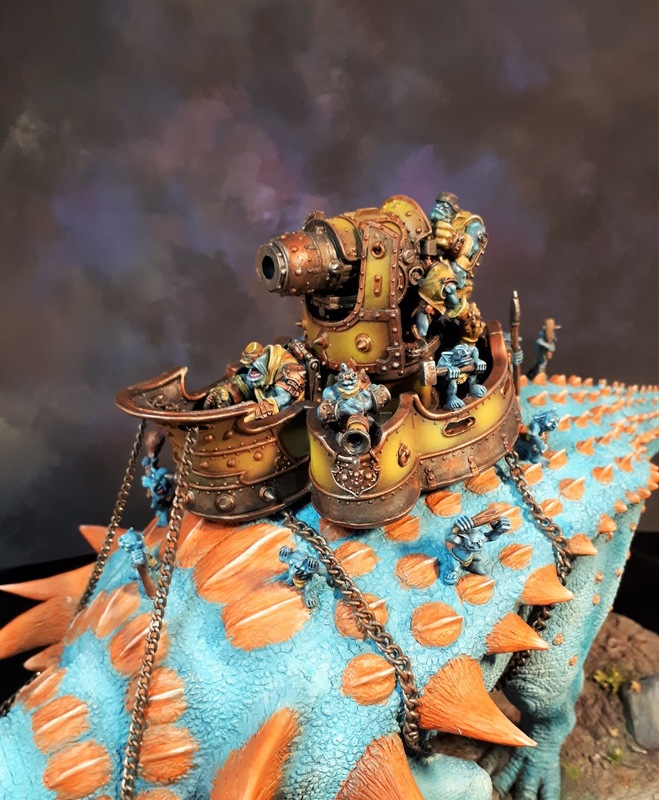 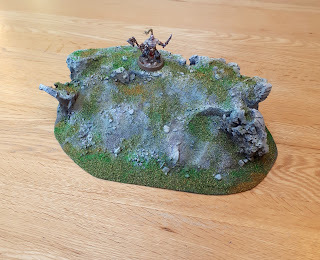 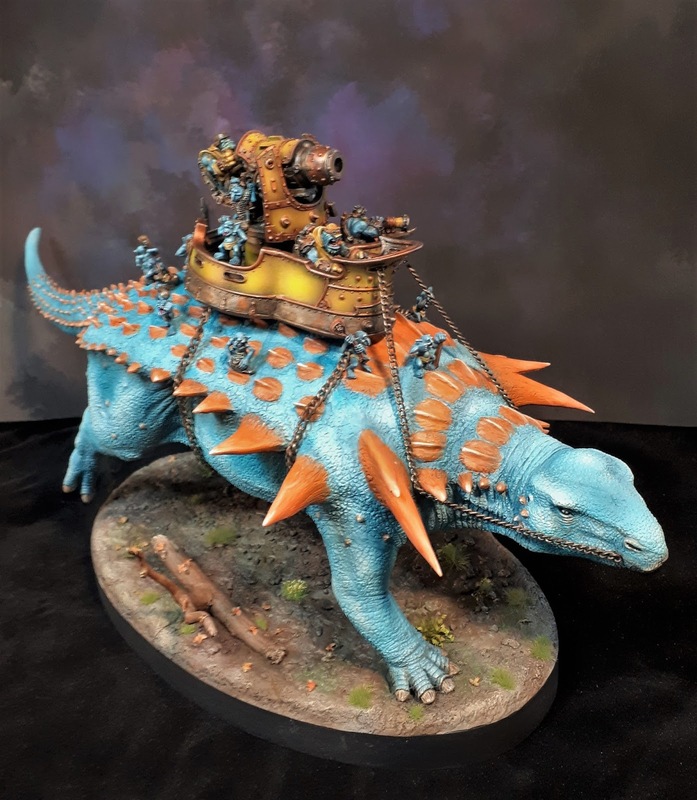 Some conversion I did recently including the Trollkin War Wagon for Warmachine and some unidentified weird turtlish creature. 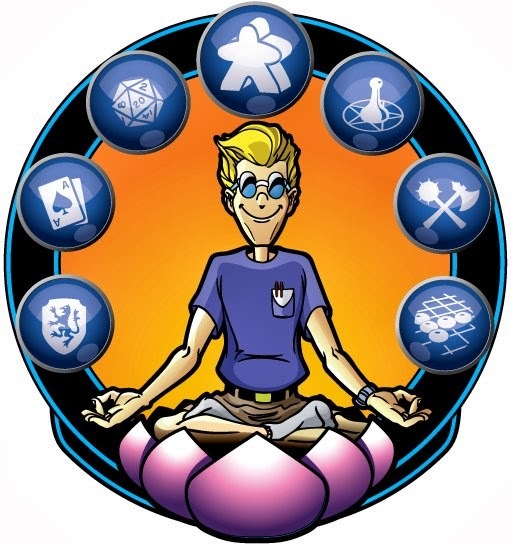 I really like doing that kind of work with pretty much carte blanche. 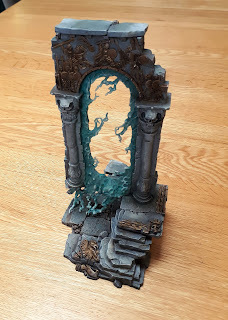 I didn't manage to take really nice pictures unfortunately, really struggling with large pieces. These will probably be the last scenery bits for this year. 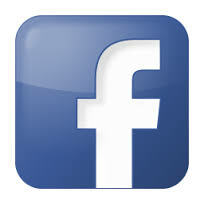 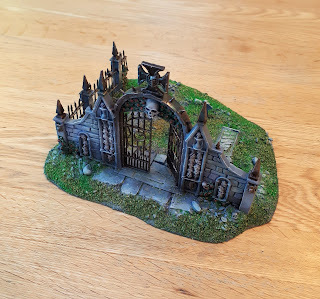 I'm working on some more cemeteries but they'll get listed in the New year. 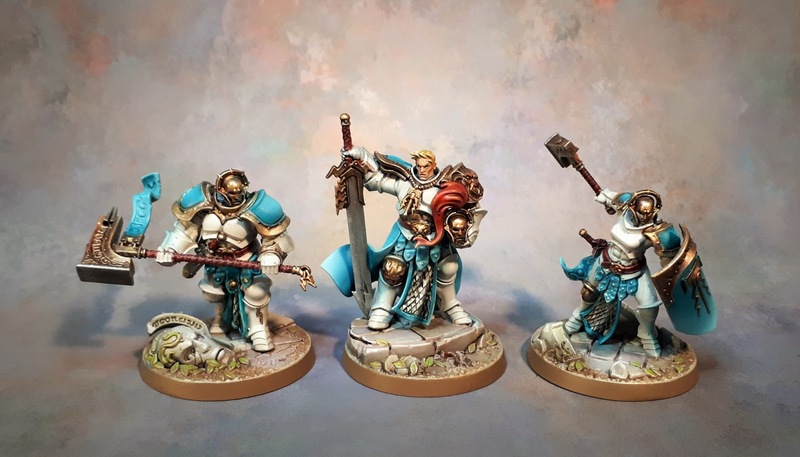 This is the Stormcast war band you get in the Shadespires box. I've been feeling pretty indifferent with the whole Stormcast series of models. They're good figurines though, didn't do an all gold as I'm getting bored of seeing these. 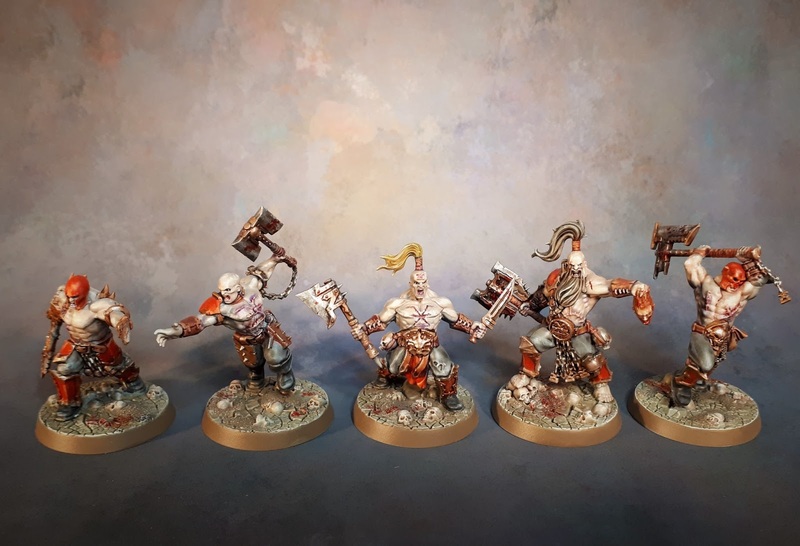 Warhammer Underworlds: Shadespire update again. 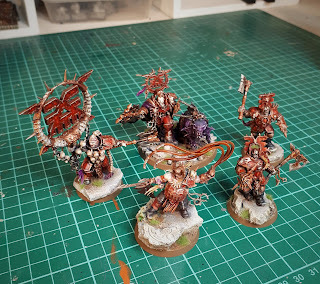 Four factions finished, here is the Khorne Bloodbound warband. 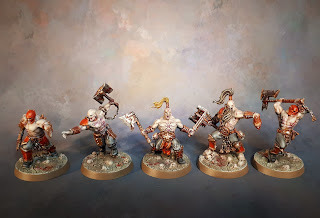 classic Bloodreavers stuff, very nice models, I like the fact they come with their own sculpted base. 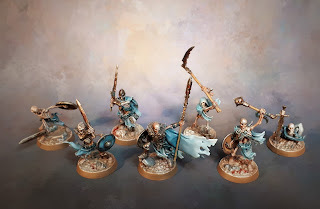 Another post about some recent GW releases, feeel like I'm turning into a fan boy again...These are the Sepulchral Guard for Warhammer Underworlds: Shadespire. It's an absolutely superb undead war band, really loved painting these. 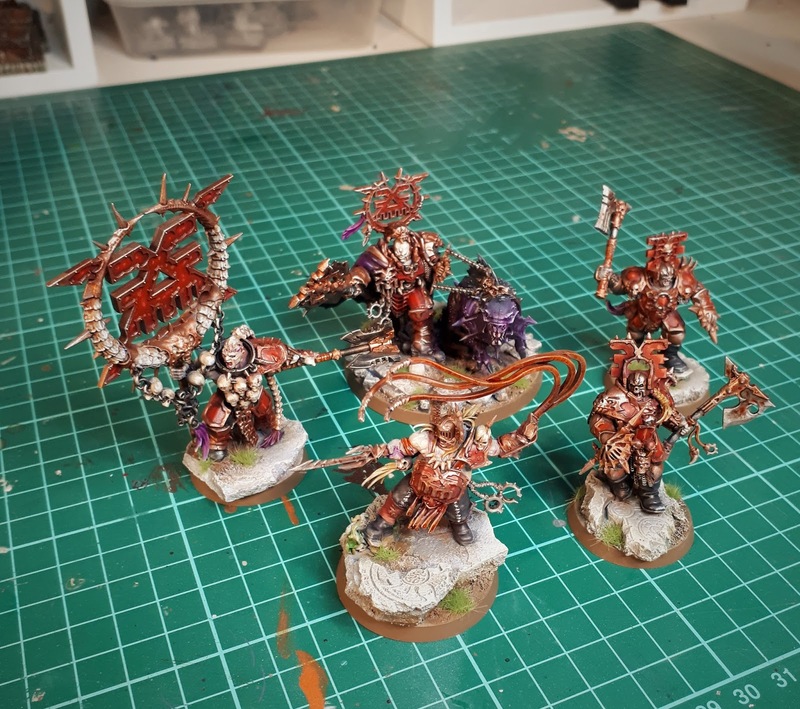 I'm nearly finished with painting the first 4 so there will be more updates on the matter. 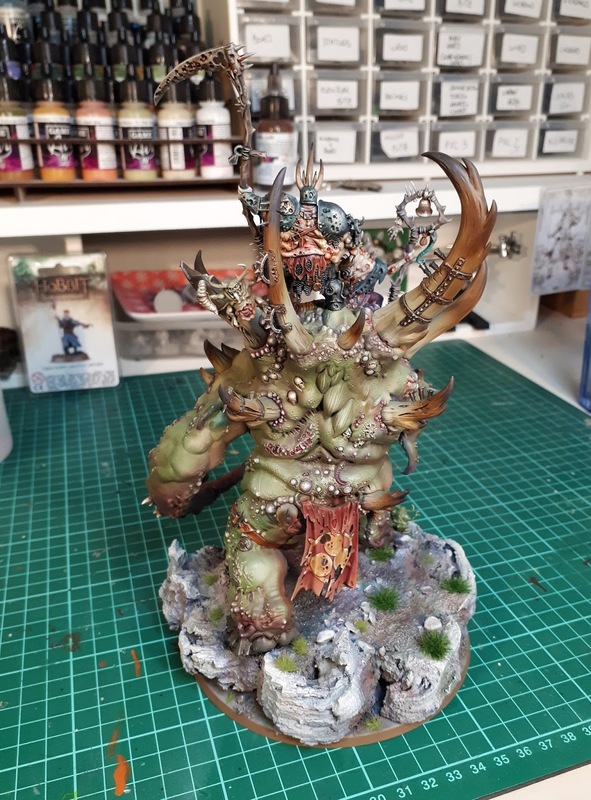 I just started painting Mythic battles. This is one of my favourite models from the box. 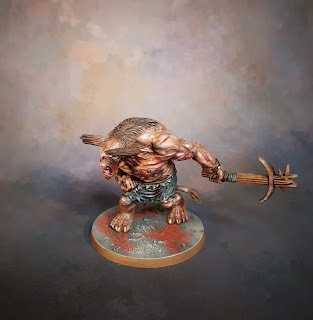 The first ever model I bought and painted was a Minotaur too. I tried to find a picture of it but can't remember where it was from, Citadel, Rhal Partha? 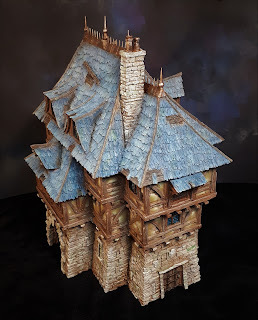 It was back in the late 80's, not too sure where it is now...Anyway, lots to choose from both boxes from the Kickstarter. 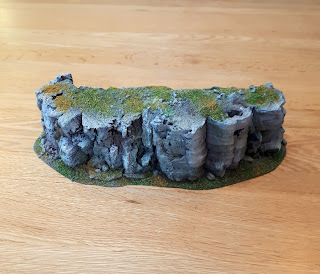 And it's mostly single models which is great. 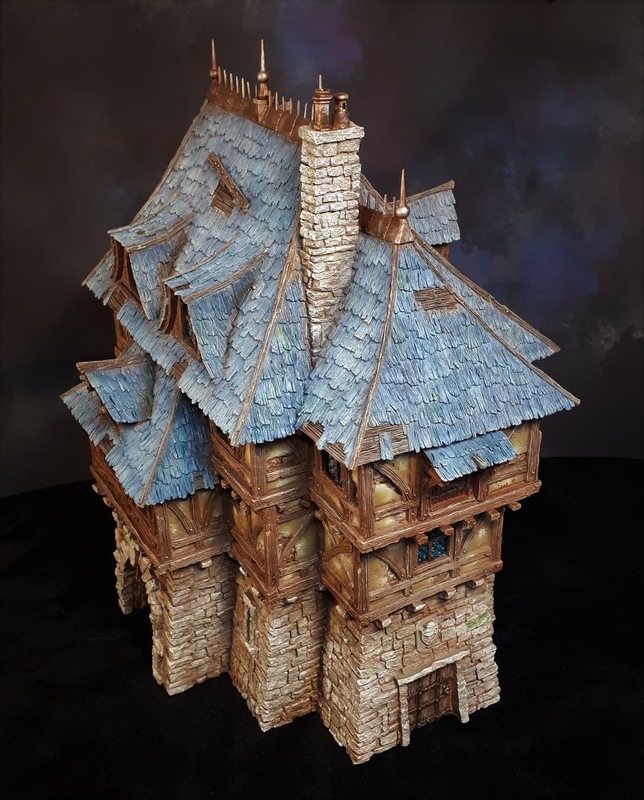 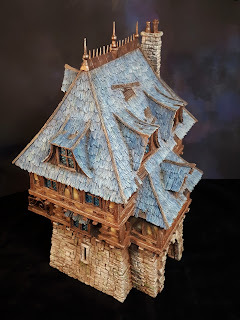 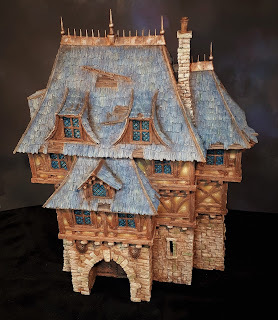 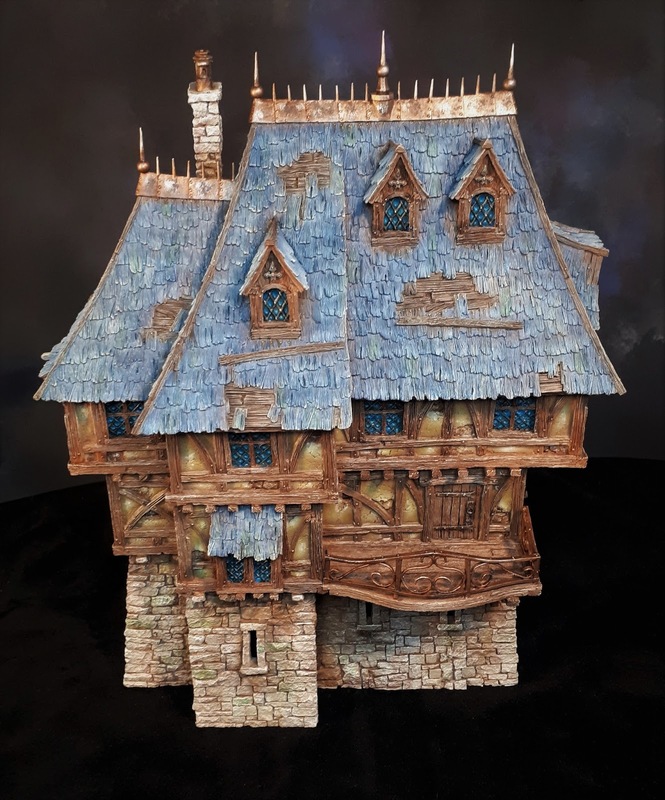 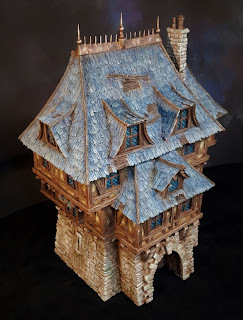 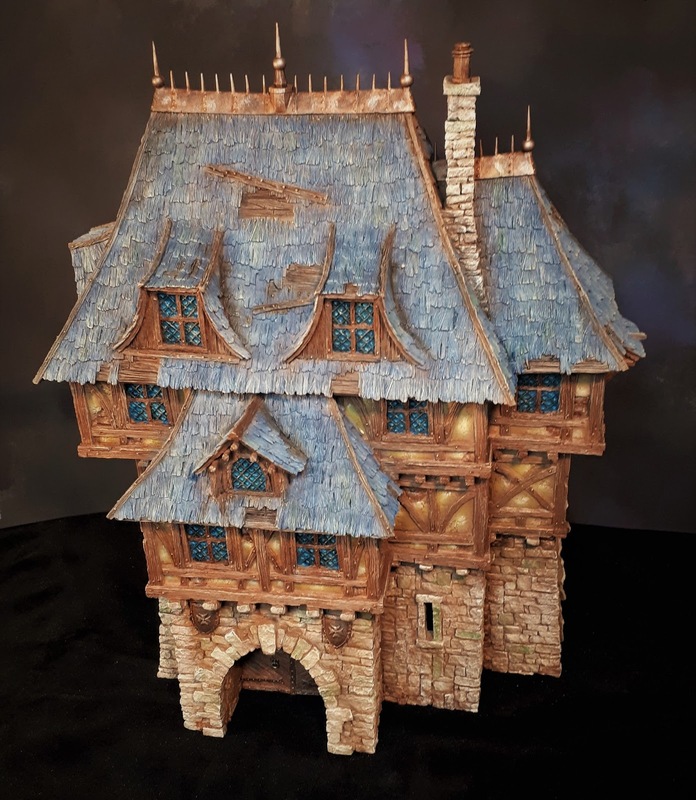 Noble Townhouse by Tabletop World...Took me awhile to complete it as there are lots of details, a lot of it was pretty repetitive, windows in particular. 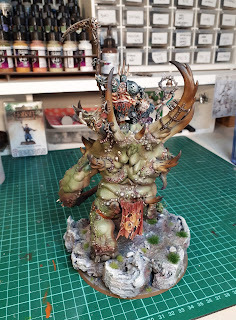 Model is gorgeous, quite large, you don't really get this from the pictures. 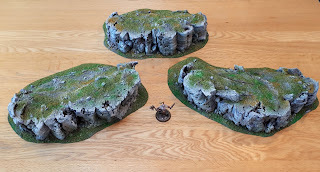 I'd rank it top 3 of their range, easy. 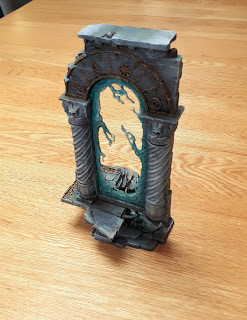 Inside is gorgeous too, all painted. 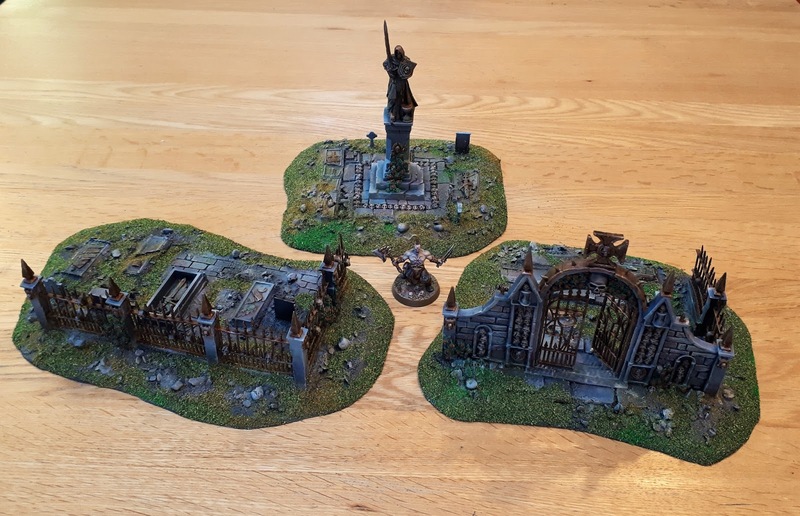 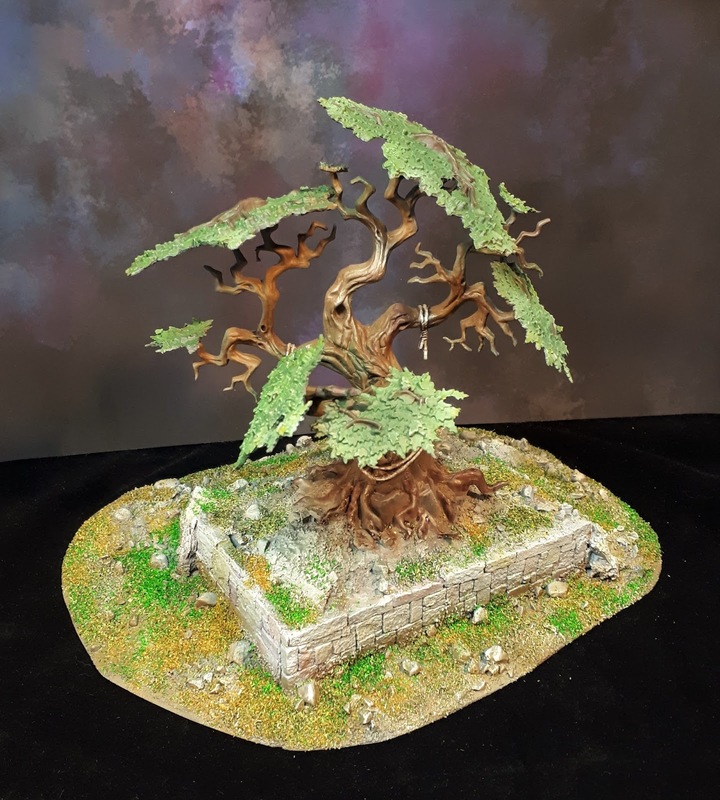 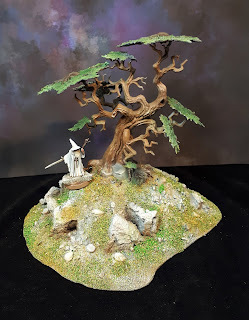 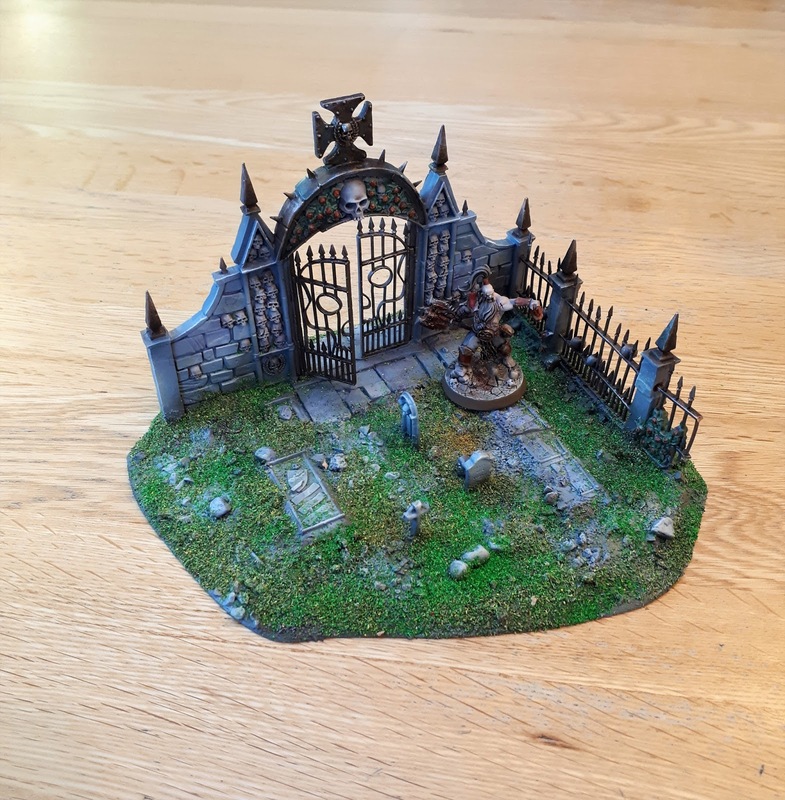 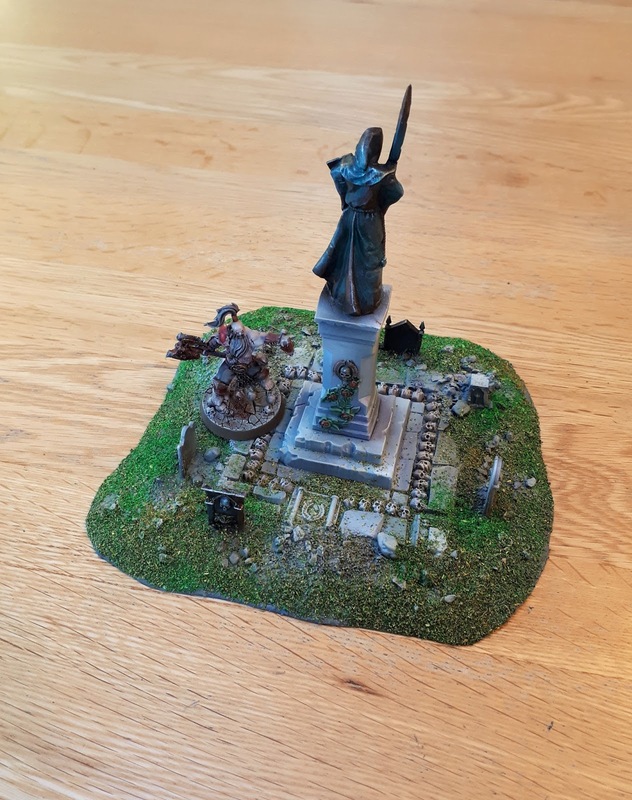 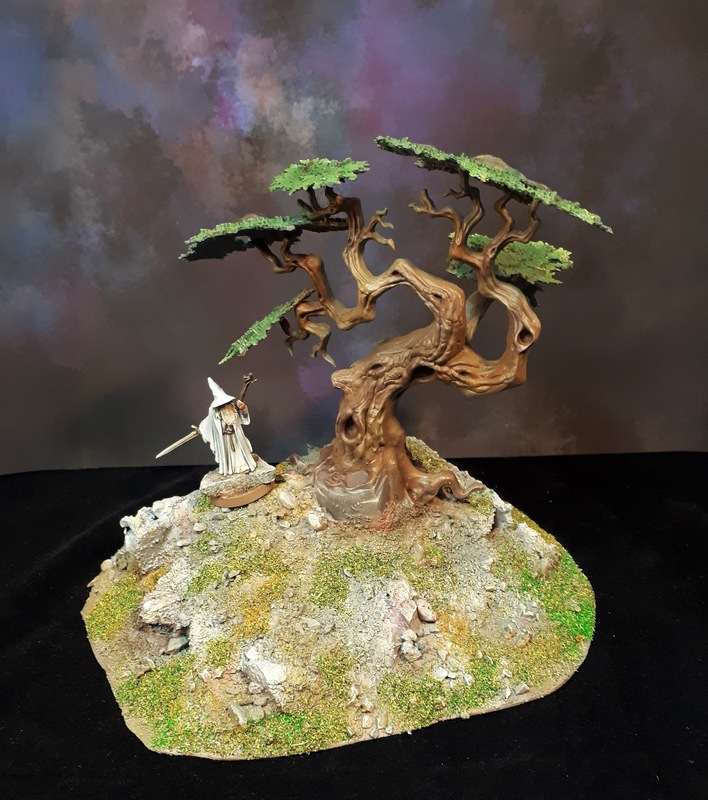 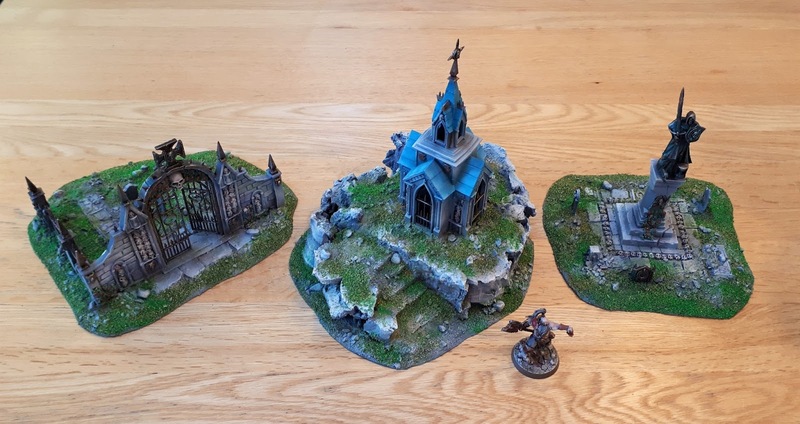 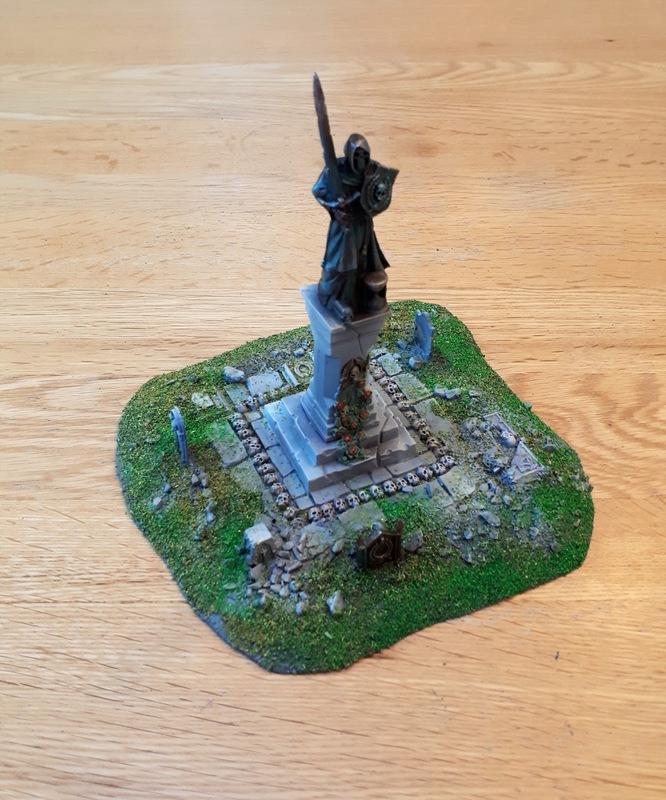 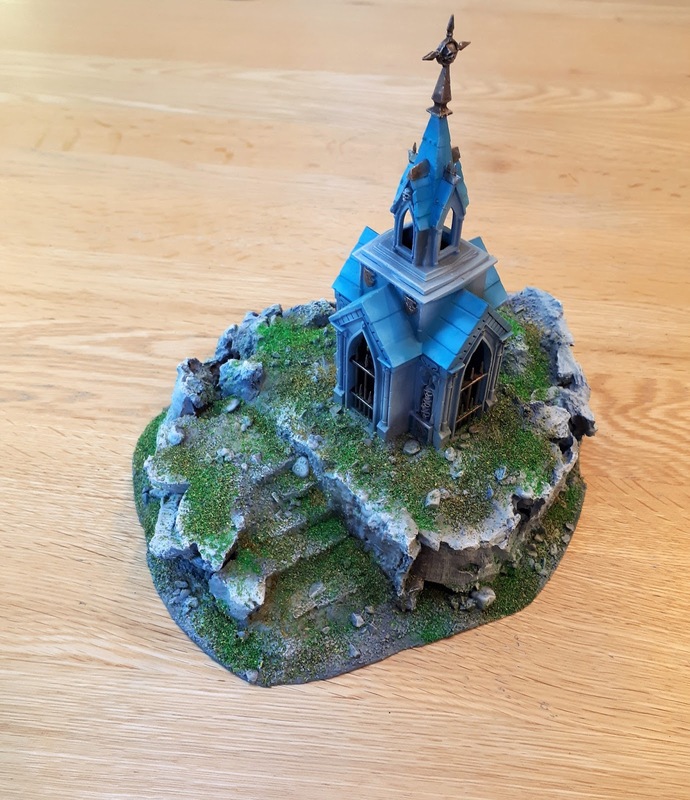 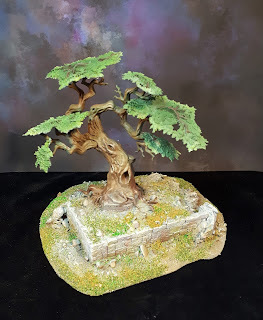 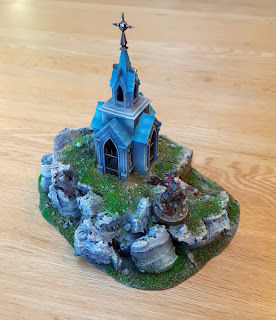 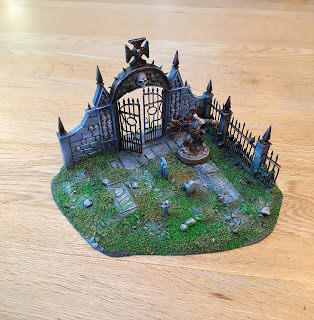 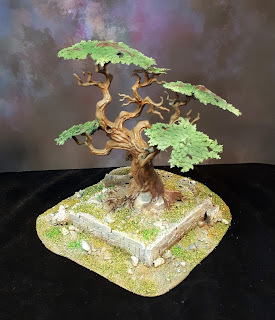 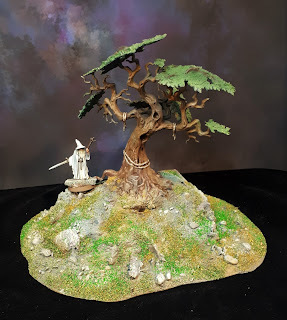 Scenery bits of the week, did more cemeteries as they're popular, so are the mausoleums. 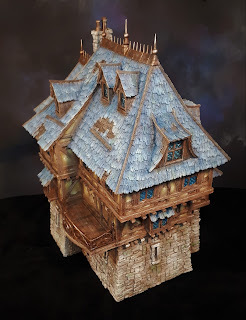 All available in the shop on Ebay. 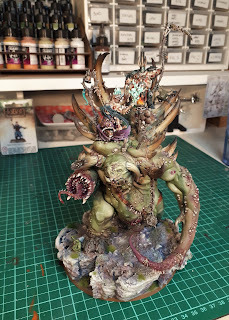 The Glottkin from Games Workshop, painted a couple of weeks ago. 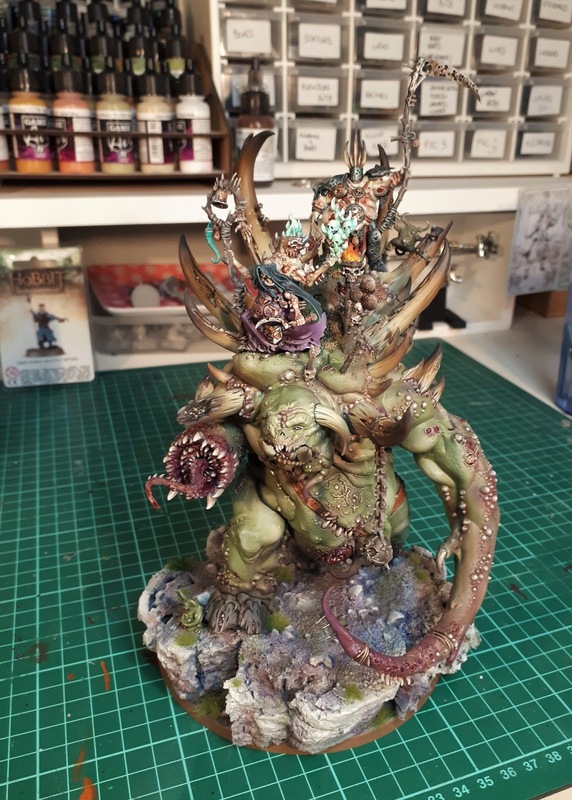 I 've always loved Nurgle stuff, this is way over the top really...but I like it :) Superbly detailed, easy to put together. A bit difficult to read the picture as there is lots of stuff happening on it but in the flesh, it's great. 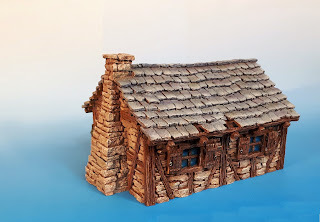 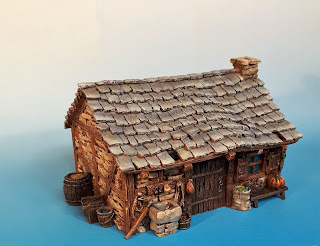 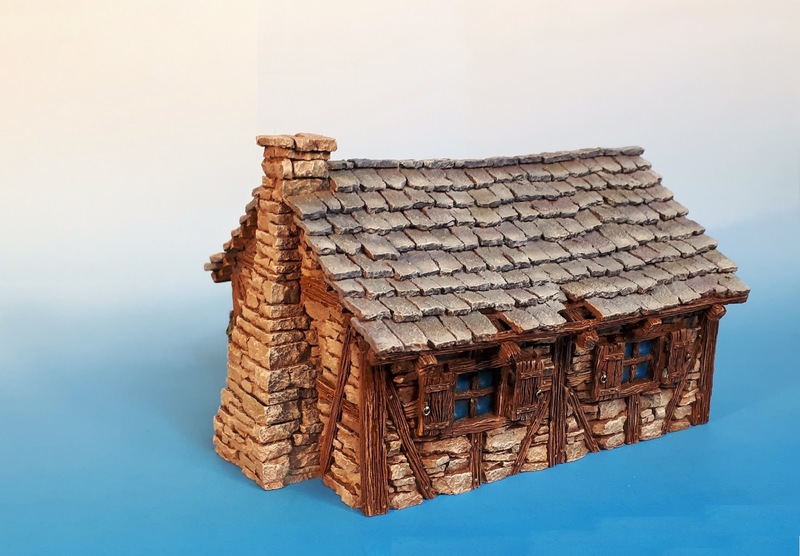 Just one bit of scenery this week but it's a nice one: Cottage from Tabletop World. 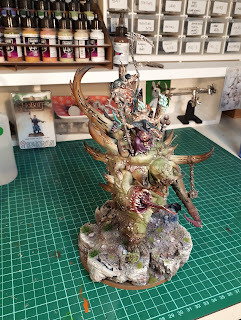 I'm currently working on some similar pieces but bigger so it's taking me some time. All available on Ebay. 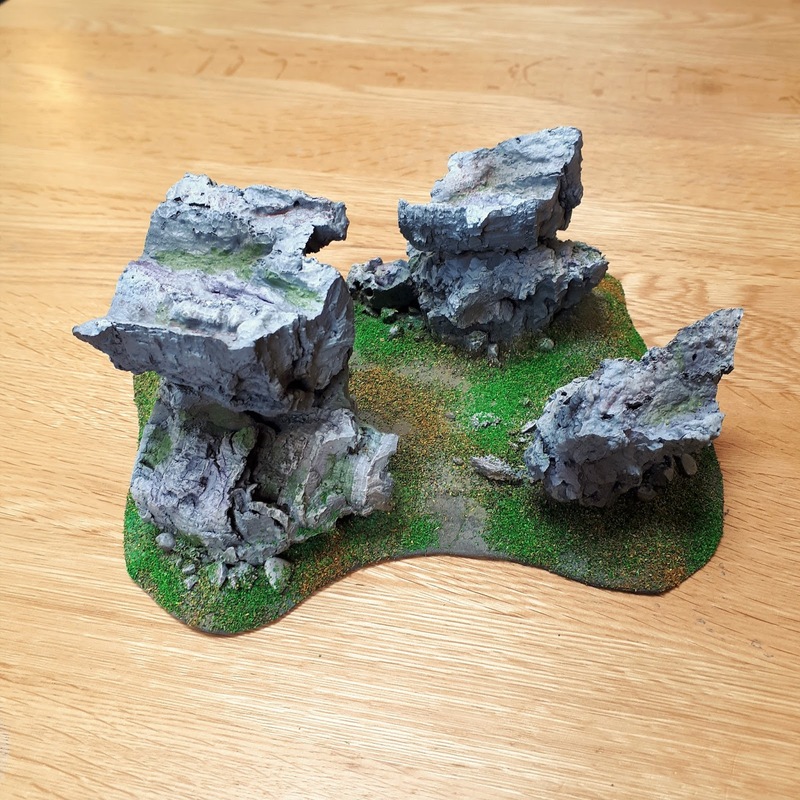 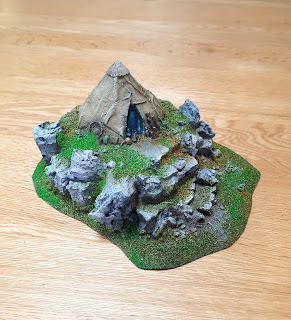 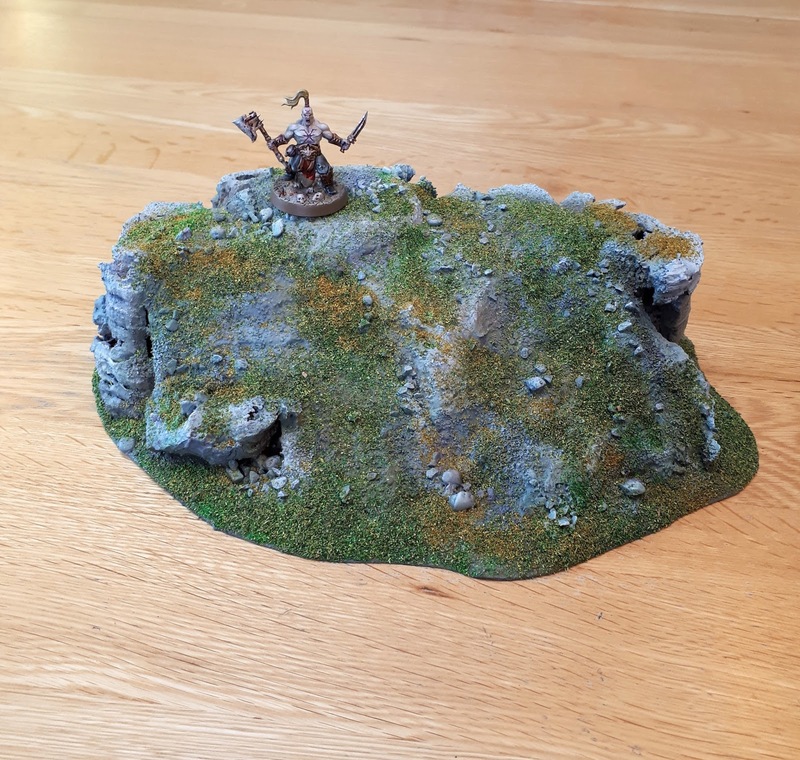 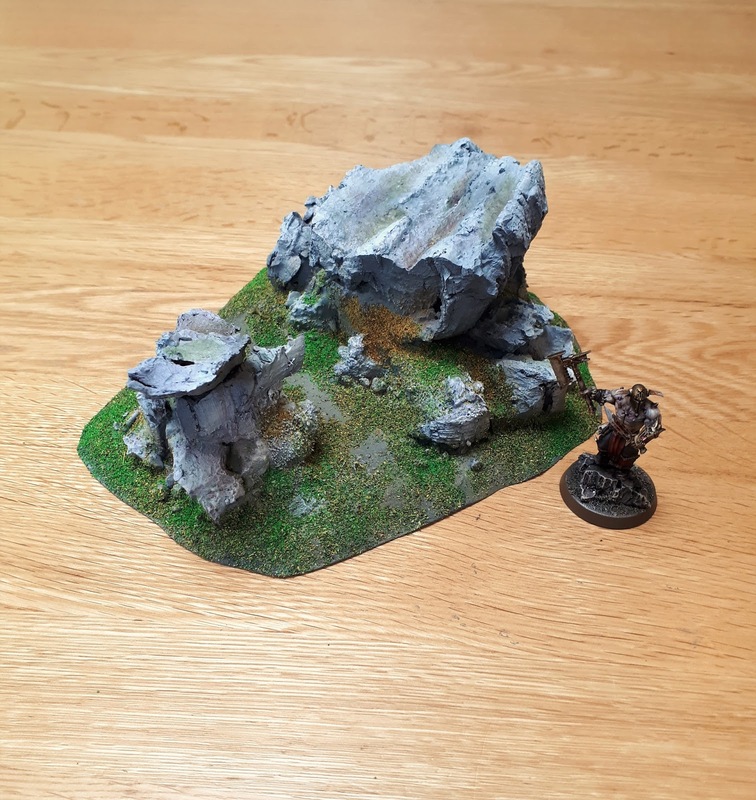 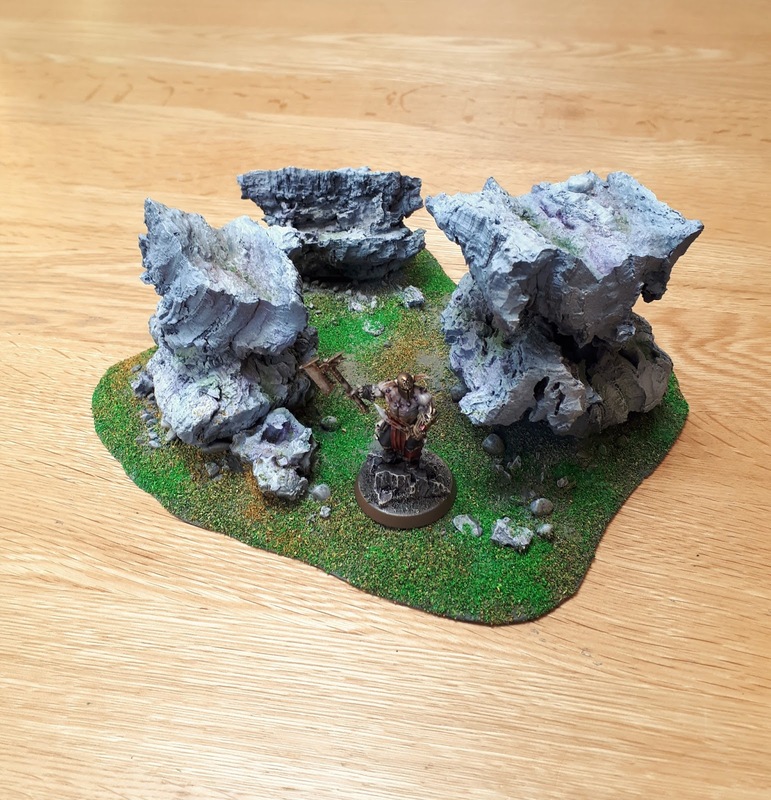 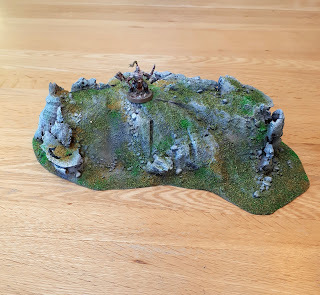 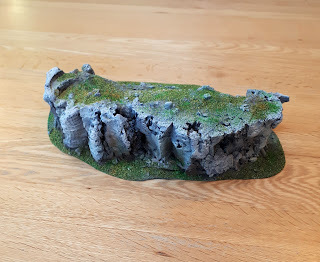 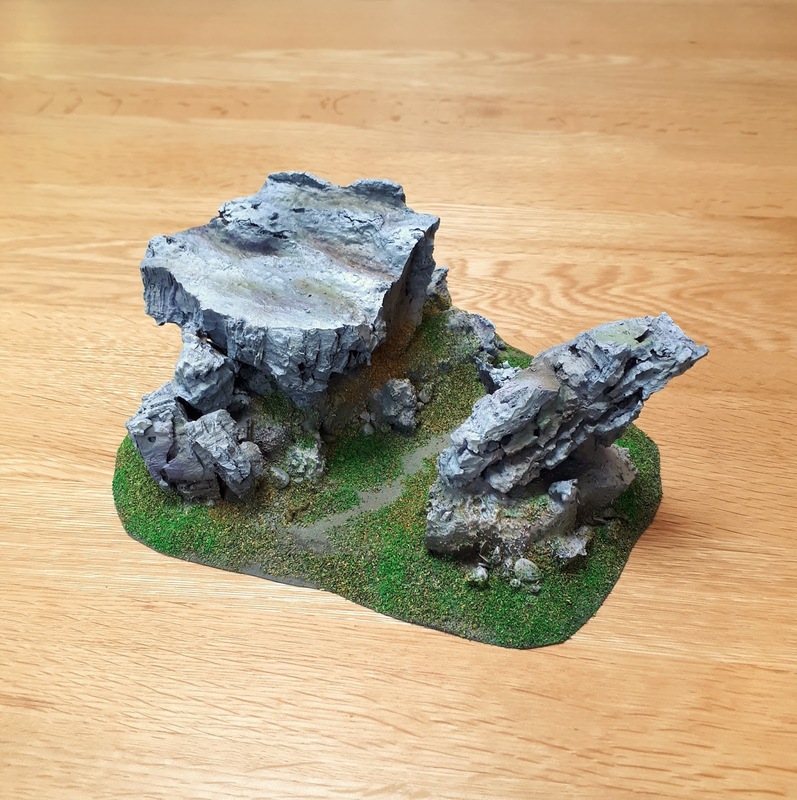 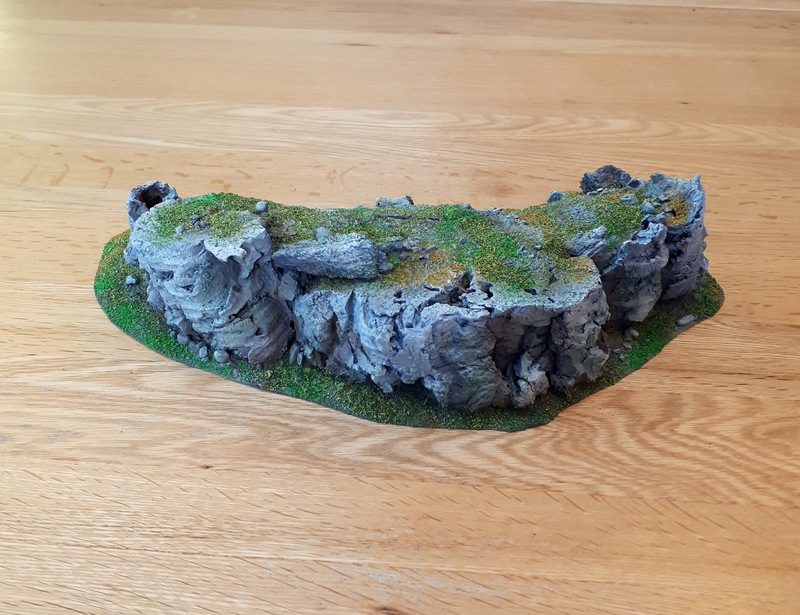 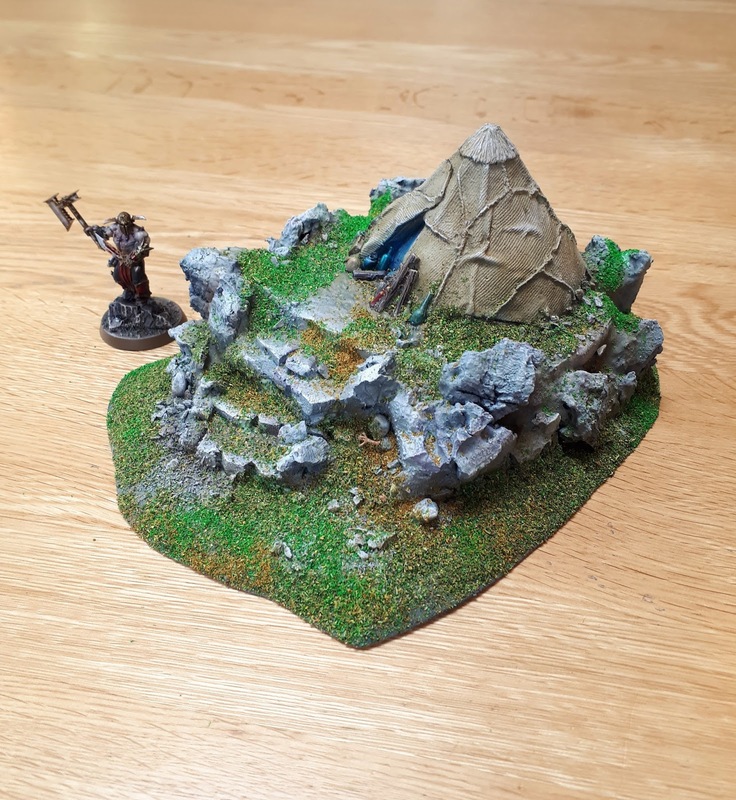 New wave of scenery bits for the week available on Ebay or directly trough me.